Before you read this post? Check out our new sponsor over there on the right ——-> It’s Peggy Ann Design! She is awesome! Think awesome as in “OMG! BEST PRESENT EVER” kind of awesome. If you get my hint. Christmas is a time of some pretty major traditions for our family. While we have been learning to let go or change some Thanksgiving traditions, we have worked very hard to foster and cling to our Christmas traditions. I love Christmas. All of it. I really do. The family traditions are always my favorite part. I think I just love the feeling of happiness and security that doing the same things and seeing the same things over and over each year create. Yesterday we got Eddie all bundled up to go pick out our Christmas tree. Every year of my childhood, my parents took us out to get a tree. To be honest, I hated it. 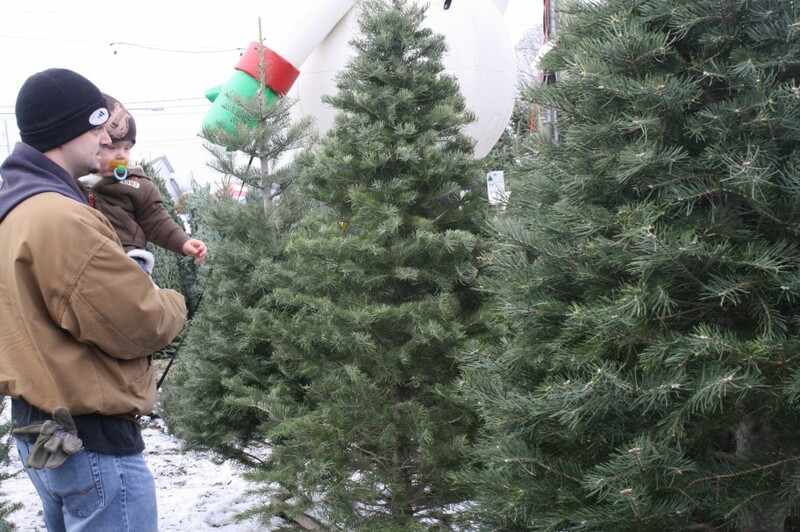 I hated having to trudge through the muddy, cold fields arguing over which tree would be best in our house. 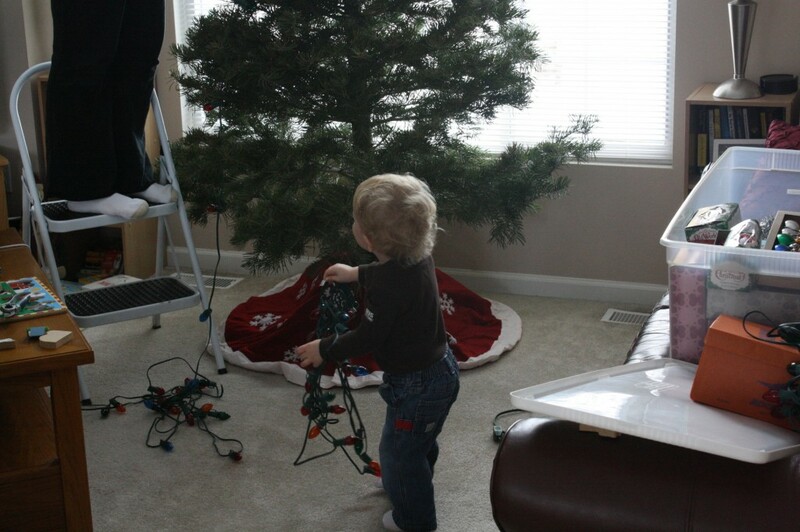 Then standing their while dad cut it down. And of course then? We had to drag it back to the truck, get it secured in the trailer, and get home. And none of that meant that dad was going to hurry up and get the tree in the stand. And even if he did? It usually had to sit there and “dry” before mom would allow it in the house. All of this was excruciatingly slow to us, and after awhile, my dad just went out and got one on a Saturday morning by himself. One that was already cut. 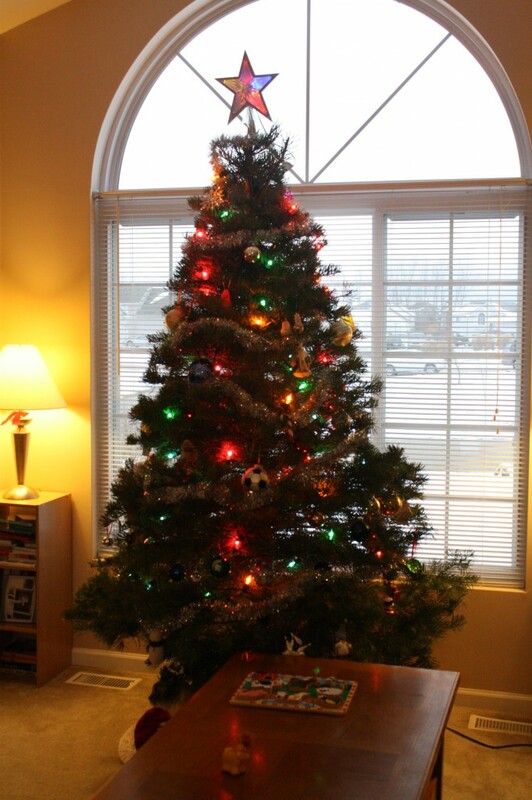 But…we NEVER had a fake tree. Ever. Saturday morning we bundled Eddie up and took him with us to Bosch’s in Holland to pick a lovely pre-cut, REAL Christmas tree. It took us maybe 5 minutes to pick out this colorfur (I think that is how it’s spelled). By the way, this place smelled WONDERFUL! I wish you could scratch and sniff your computer screen because each time they sawed off the end of someone’s stump it smelled like pine heaven. Anyway, after getting our stump trimmed, and some ooo-ing and ahhh-ing by Eddie at the giant inflatable snowman, we loaded our treasure up. psst. by the way? that super duper cute hat Eddie is wearing? Is from Baby Butterfly Boutique. Super awesomely cute baby stuff and ridiculously awesome customer service! 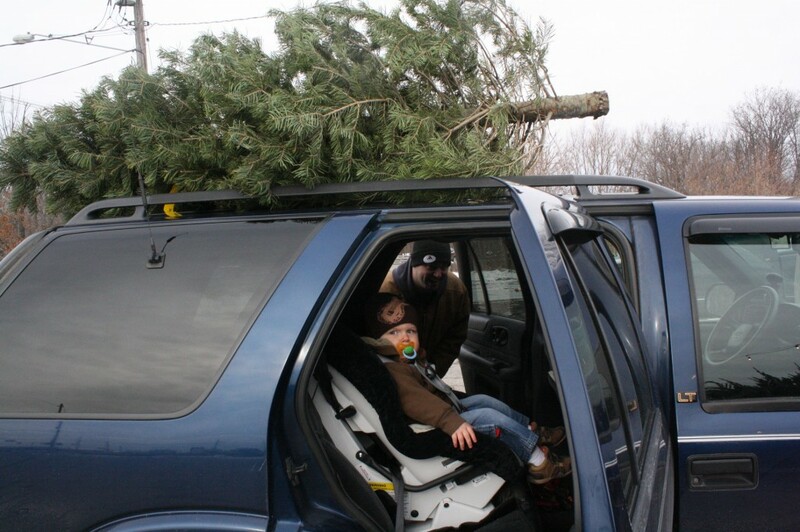 We took our tree home. I am pretty sure this is our best-fitting tree we have ever gotten. And the needles are so soft i could almost cuddle them. Eddie did a pretty good job helping with the lights. Until he found our ‘step’ button for turning them on and off. Then we had to remove him from the situation. (also, please ignore my dumpy-looking socks in this picture. they are too big and out of control). I don’t go with the themed-tree or the color-coded tree or anything that elegant. The ornaments on our tree don’t cost much money. We don’t get the little white lights that twinkling in the pretty dark room. Nope. Our tree is what we call a “family tree” or as my actual family calls it a “tacky tree”. 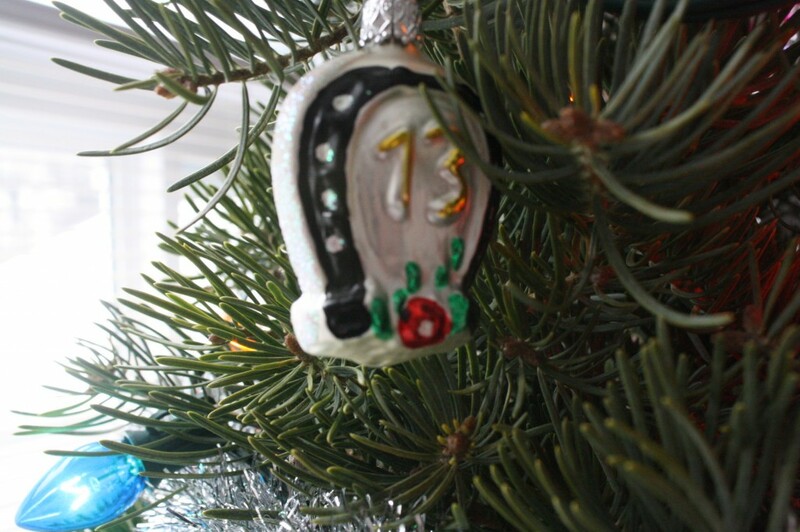 When we were kids, my mom and my grandma put the huge colorful lights on the tree and filled it with ornaments that were handmade and told a story. That is what I always wanted my tree to be too. It tells the story of our family. 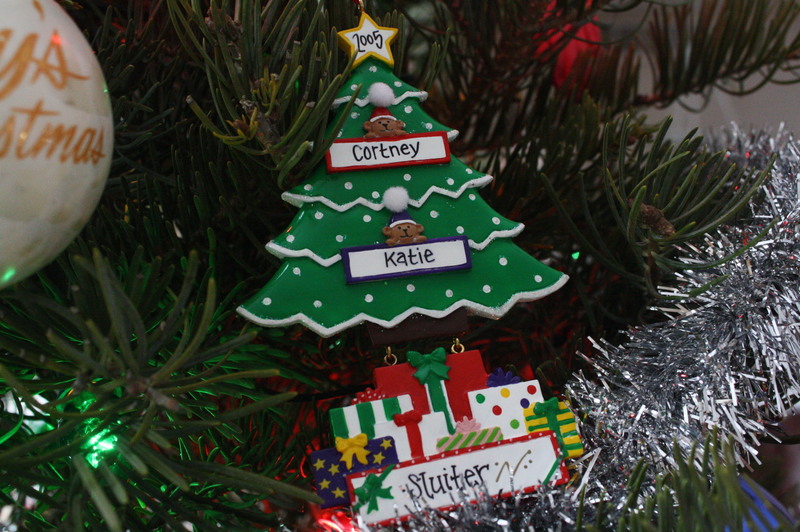 all put together to make the perfect Sluiter Family Christmas tree. Some may say our tree is tacky or gaudy or just weird. People might laugh at our choices of ornaments or decorations. But to us, this tree is the story of our family. 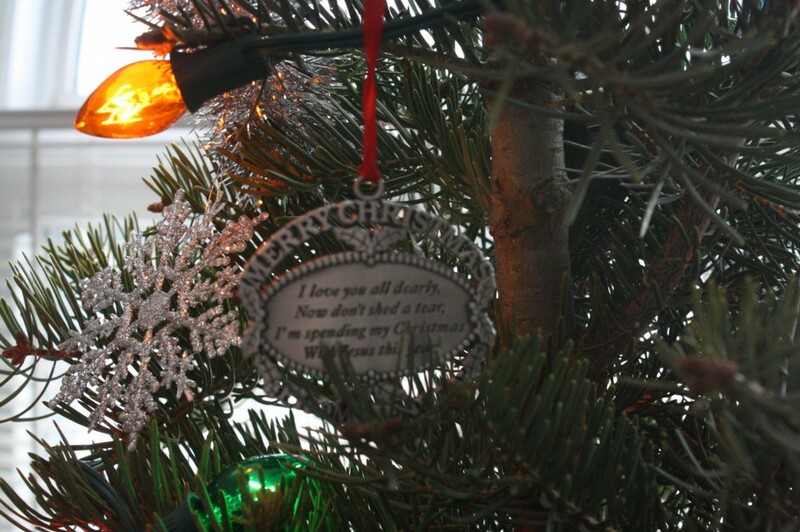 And we will put new ornaments on it each year to reflect what new parts of our lives. Decorating the tree is one of my most favorite traditions of the season. what is one of yours? Stay tuned for Top Ten Tuesdays: Things I would like to Do/Change about our House. Join me, won’t you? I love your tree. It is just like ours. We buy each other a new ornament every year for Christmas. We also buy an ornament from every place we have gone on vacation. Which means we have a ton of Disney World ornaments. Our tree is very mismatched and I love it. I do have twinkling lights that I bought on accident but they really made the tree so I kept them. Your tree is beautiful! I don’t care what anyone says ‘tacky’ trees are the best 😀 Our tree is fake but filled with bright lights, tinsel and a real mish-mash of decorations, some that belonged to both of our parents, some we’ve bought and none of them match! Though I love the elegant look of pretty white lights and a theme I much prefer our ‘family’ tree. Thanks, friend! I agree that the tacky trees are awesome! I love when there is a story behind the ornaments and the “tackiness”. A themed tree is just that–themed. No story. Just not as fun! I completely love your tree. 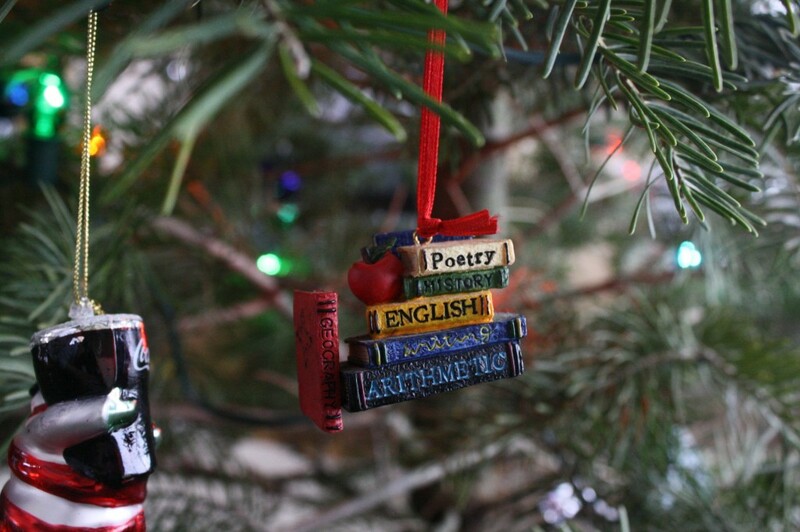 I think ornaments with specific meaning are the best part! I always remember the people who have given me specific ornaments and think of them when I put them on my tree. 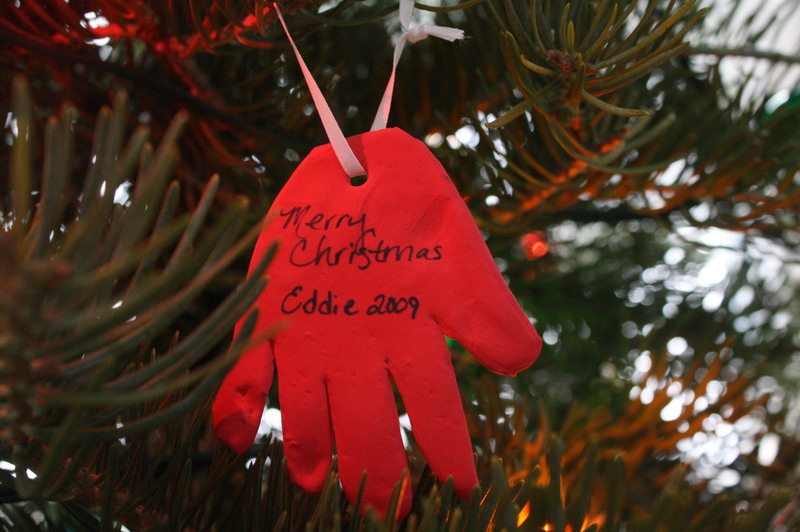 Some ornaments may have memories attached and I love that feel-good feeling too. Your tree looks great and you are a tidy soul (as I saw from the totes with your things neatly organized there) and I appreciated that….I am the same way! lol. thank you! And yes, I am pretty organized when it comes to my holiday decorations. If I wasn’t, my storage area would be a wreck! some of my friends have the most beautiful themed trees…almost beautiful enough to make me want to go the way of the theme tree…but I just can’t. When I look at each of our ornaments I get so happy! I could never exclude them from my holiday! I love your tree! 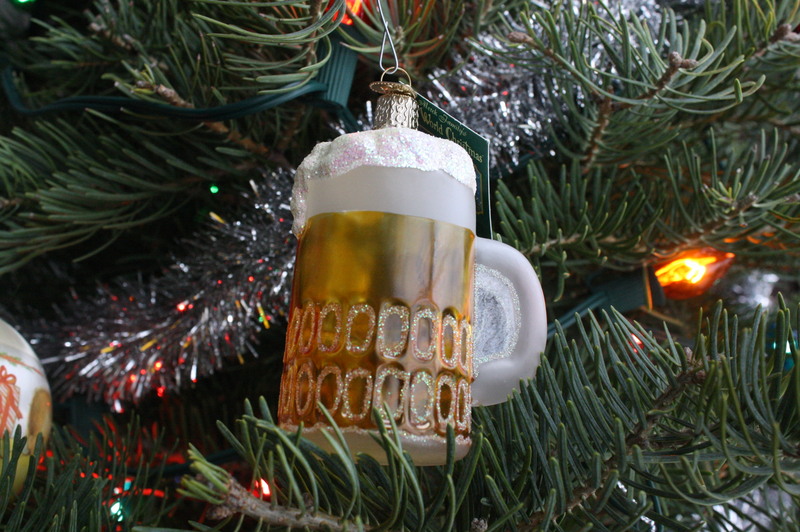 I too decorate with ornaments that mean something to me/my family. Makes everything all warm and cozy!! Ours is a family tree too which includes the weddings and births and every place we’ve been. 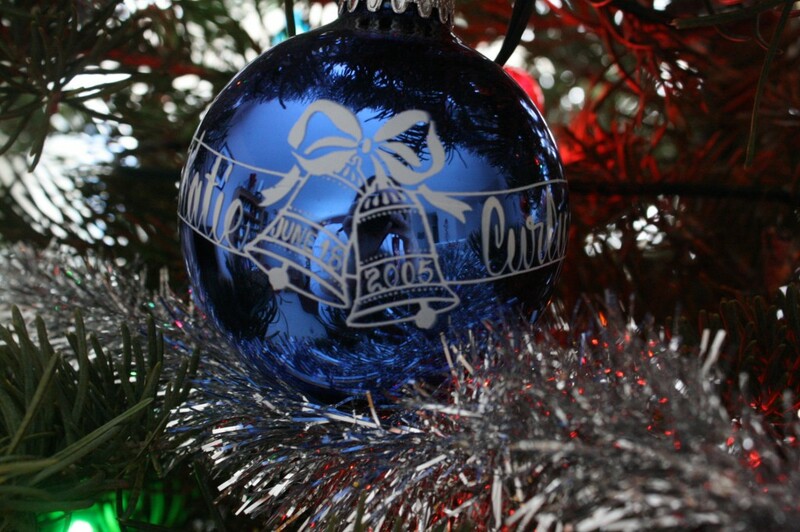 When we went to Mackinaw…ornament. Florida…ornament. Double J Ranch, well you get the picture. Now WHAT does your wedding ornament say? Katie and Charlie? thanks! I do love the little man in a sweater! I like your tree! And as a matter of fact ours looks just like that! Full of special decorations that we’ve collected through the years! Them little lights aren’t twinkling Clark…I couldn’t resist plugging in a National Lampoon’s quote in here. I am a huge fan of memories. I was going to do a post on my tree too…but our tree is of the fake variety…I’m a lover of trees so cutting one down for Christmas kind of makes me sad…but I don’t judge people who do though…I still love you. I kind of wish that we had a real one just because of the smell. PS. Eddie in that old man sweater? Adorable! Yeah, we are tree cutters. Usually tree-huggers, but not at Christmas. We cut those hooches DOWN and put them in our living room. 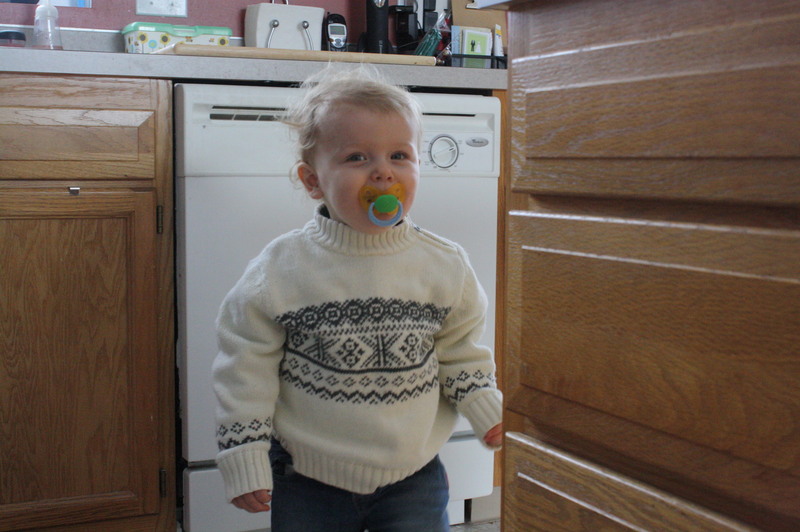 And yes, my child in an old man sweater = awesomesauce. we always had a real tree growing up too, and i am keeping that tradition alive! 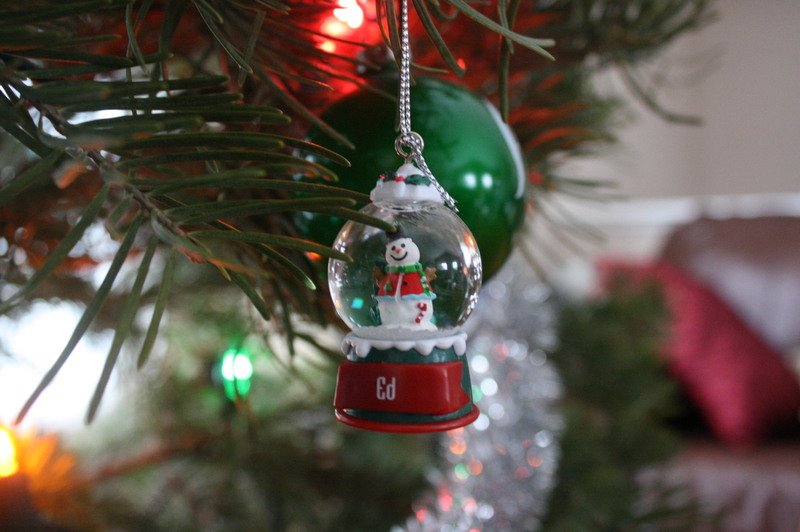 Our ornaments growing up were a lot like this too! Everything was mismatched, but it MEANT something which is soo cool! I love it! Thanks, Grace! Yes, I love the mishmash…it’s what life is, a motley array of events and people. And that is what our tree reflects! 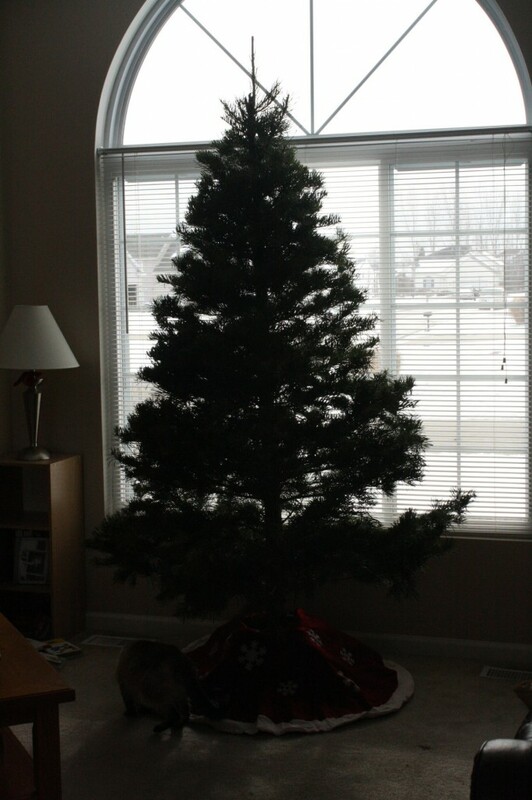 We got a concolor fir (the correct spelling =) ) too this year. They smell sooo good! I LOVE the concolor! We had one a few years back and it was my favorite…so glad we got another one! mmmm…piney! Precious! And sadly we have that Heaven ornament too 🙁 I got them for all my family a couple years ago.